For this one special night we have two special friends of techno movement around the world, Dj Eve -Lyz from Paris, France will delight you on techno beats and fine with parfum notes on the mix for the hands of a real lady. As weel into the good vibes from the drive of Dj Krlox and the production is from Erika Cejas & Ludmille Van Henz. Don't miss it, you will be dancing on your chair. 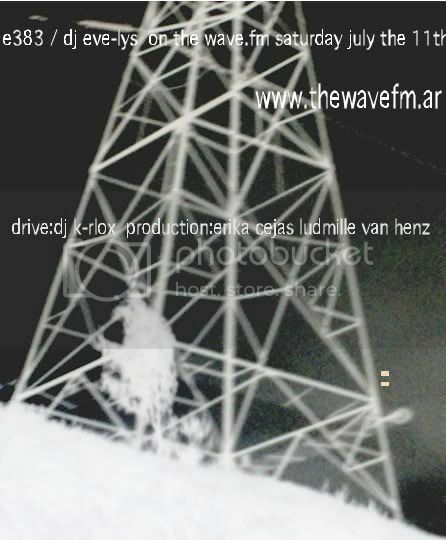 The Wave Fm on Demand 11-07-2009!